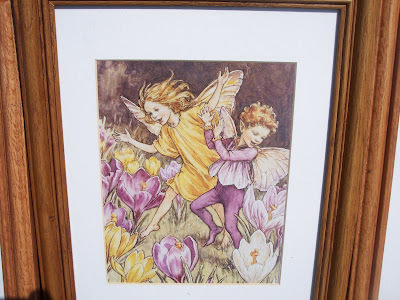 Hi and welcome to my post for Laurie's party, "A Few Of My Favorite Things Saturday"! 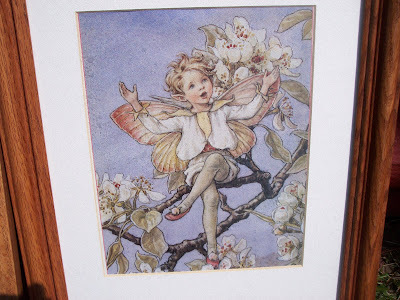 Would it surprise you to know that I just love pixies and fairies? I think they bring out the little daydreaming girl in me. This whole love comes from my mom. Let me tell you a little about her. She is an artist. She paints beautiful pictures. She also works in all different kinds of mediums. Her main subject she loves to paint is wildlife. 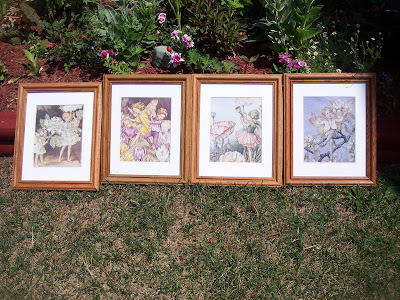 Over the years, she has had many paintings hanging in different galleries and has sold just as much. When she graduated from high school, she was offered a job at Field and Stream magazine to work in their art team. She, instead chose love over a lucrative career in NYC! Crazy woman! My mom is a dreamer, a creative soul and she has NEVER lost her sincere love of life. She sees everything as a great adventure. When I was a little girl, she and I would lay on my bed and look out the window into the back yard. 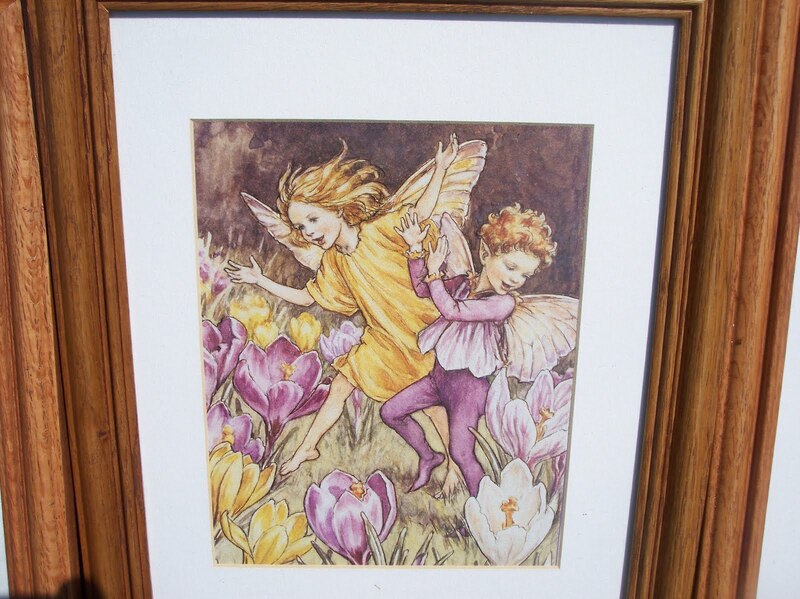 We had a swing set out there and every time the wind would blow and the swing would move my mom would whisper in an excited voice, "Did you see the fairies playing on the swing?" 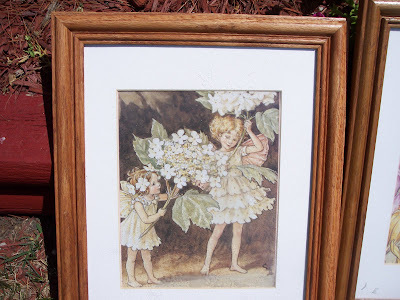 We had large patches of wild violets growing through out our back yard and she told me that is where the pixies live. Since my mom would paint on any surface she could find (and she still does! ), I never had a plain painted bedroom. Every other year, my mom would paint my bedroom walls with a mural theme. One year it was a "secret garden". 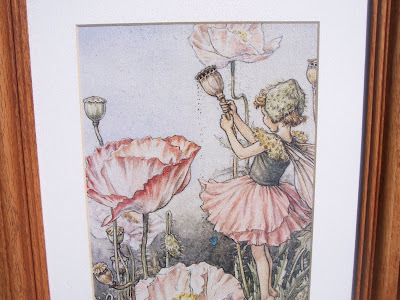 I had my walls filled with beautiful vibrant flowers of all kinds and little pixie and fairy homes. It was completely magical! 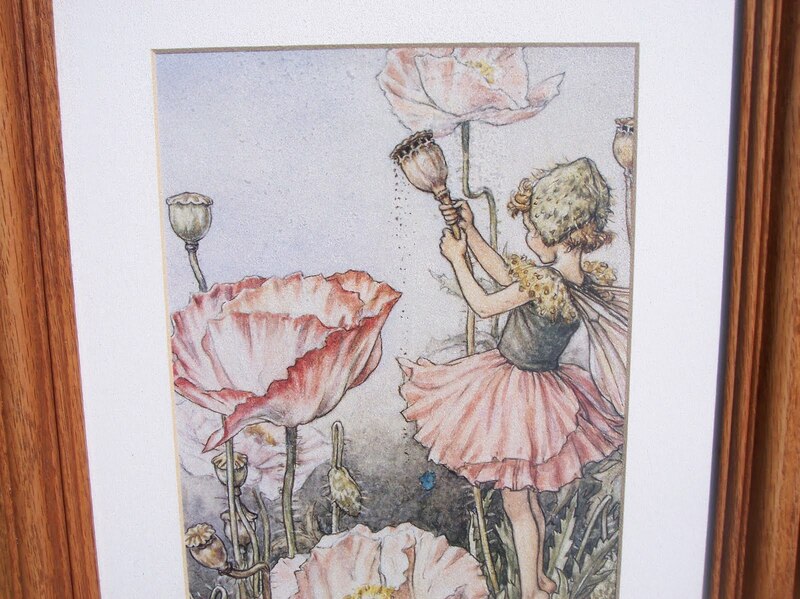 So, to this day, at age 46, I still love the magical world of fairies and pixies! I want the princess to experience these same wonderful memories. Of course, her most favoritest person in the whole wide world is my mom. They have great adventures together in her back yard. My mom is truly a one of a kind gift. Okay, on to my treasures. I found these 4 framed wall hangings a couple of months ago. 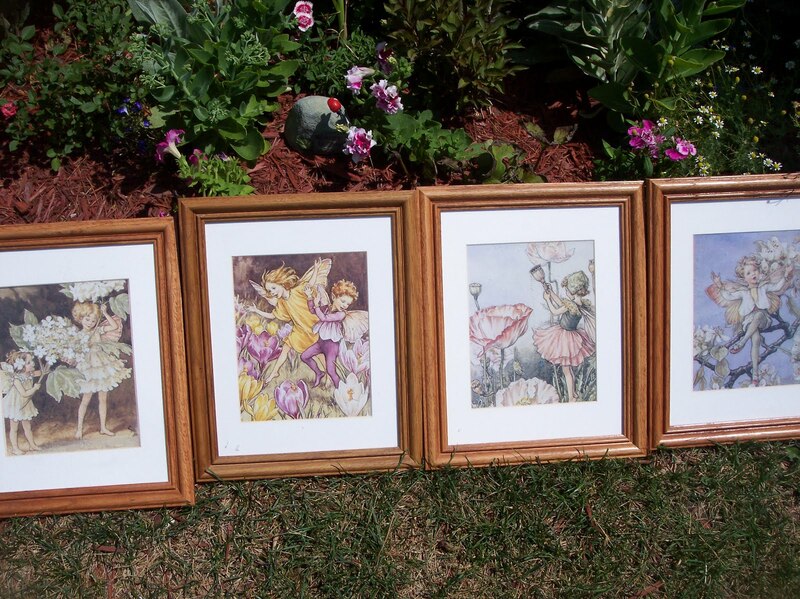 I may or may not do a redo on the frames and matting. But, for now, they are getting hung just the way they are. 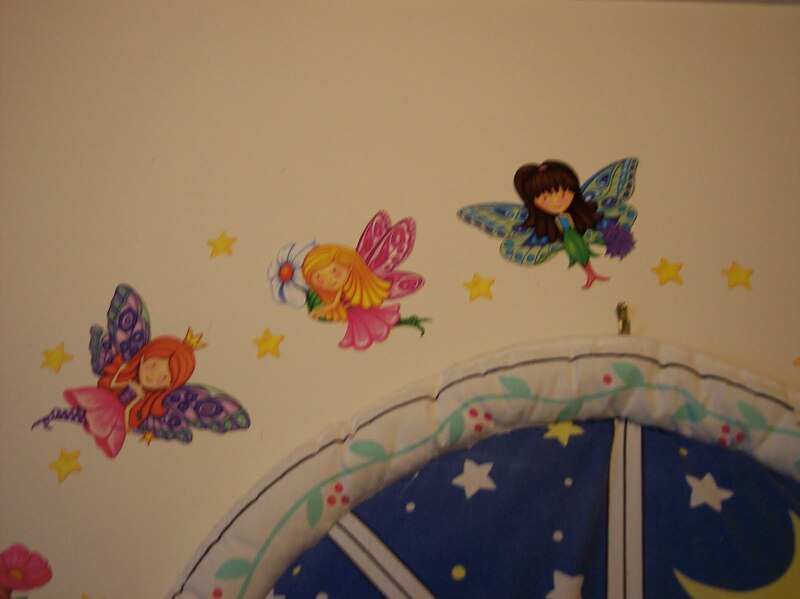 And of course, the Princess has Fairies/Pixies in her room! 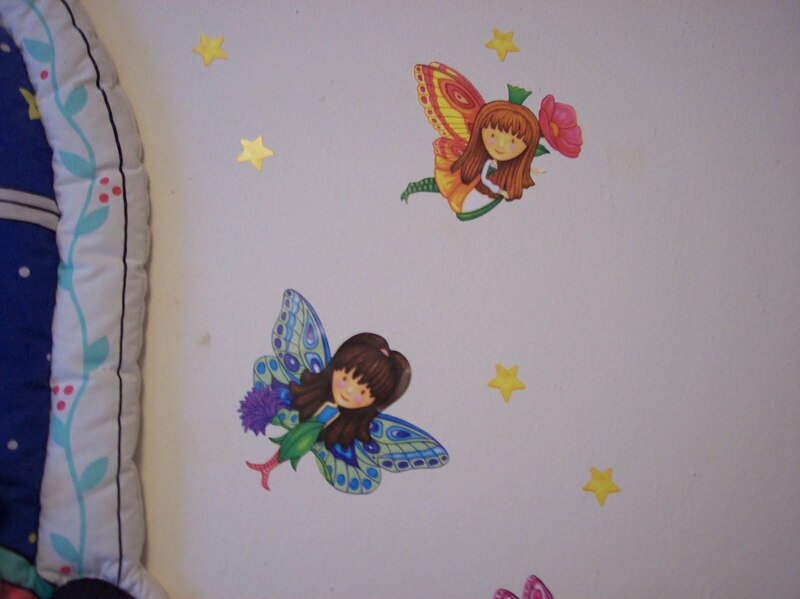 These are those Dollar Store wall stickers. 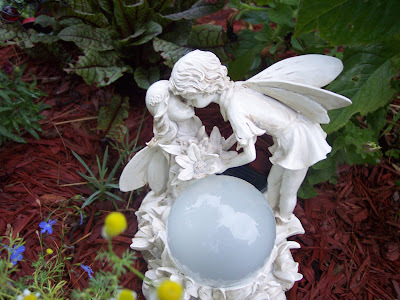 And this sweet kissing fairies statuary with solar light globe is my latest treasure. I received this for review from the CSN Stores this week. Don't you just love it! It turns the flower bed into a secret fairy garden. The soft glow at night is just perfect! Thank you again CSN Stores and BedroomFurniture.com! I'm afraid I don't have a good camera. I have a very old aim and shoot camera from the stone ages so, my night time pictures leave a lot to be desired. I have been seeing these charming fairy doors all around these day. I just love them and although I don't have any, I thought I would share them with you. 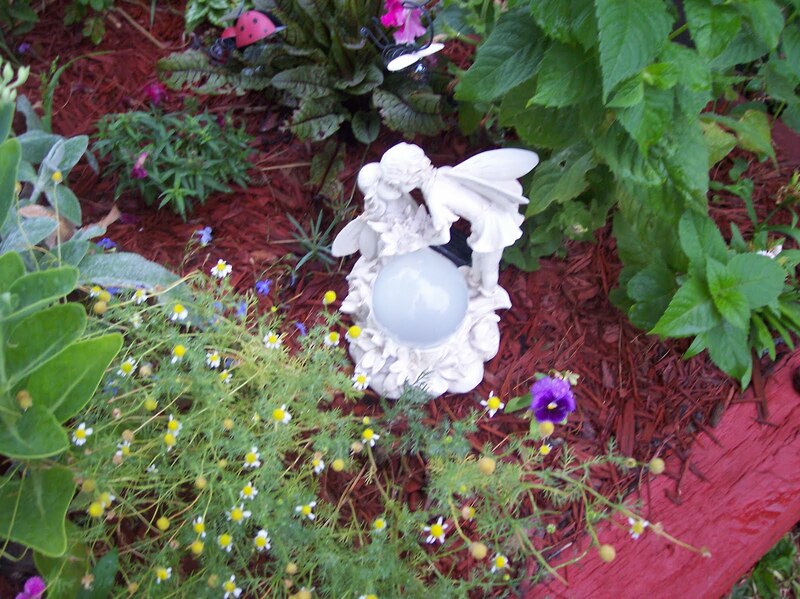 And you have to check out this fairy garden at Magical Omaha! 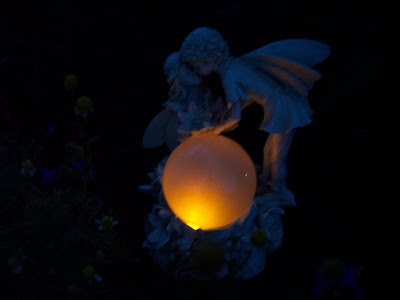 Well, I hope you enjoyed this little touch of enchanment and magical dreams. Have a wonderful weekend everyone! Now I know why I love you because you are a pixie girl! What a wonderful Mom you have and I know you will be that way with the Little Princess. I love the 4 pictures you got they are so cute!! I love the softness of the prints. Where are you hanging them?? Curious minds want to know. 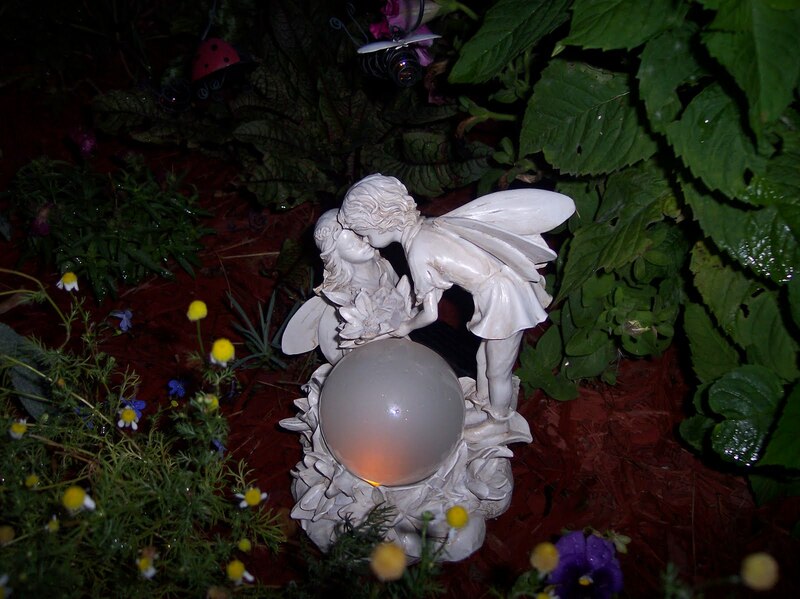 Love that CSN kissing light for the garden. That is adorable. REALLY ADORABLE. Ok, enough gushing. Enjoy your Friday! Cool fairy stuff! Very nice garden item too! Wow! 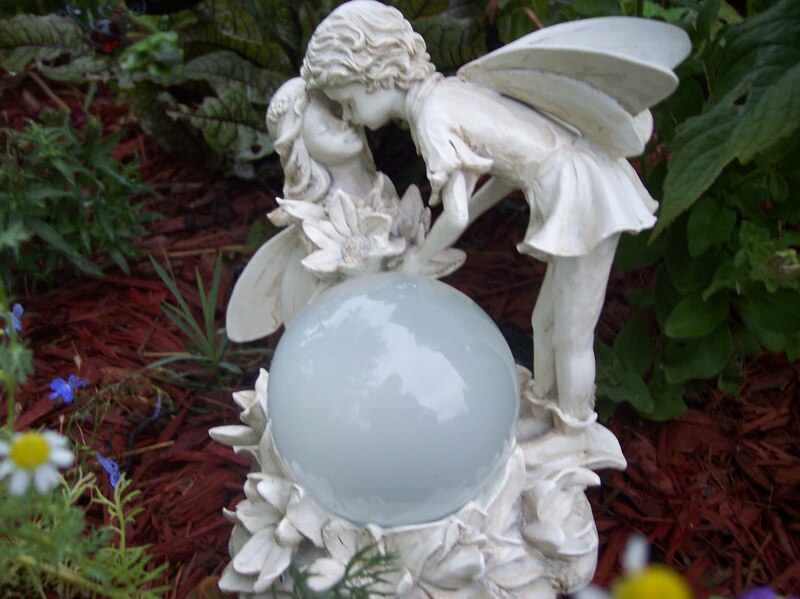 I love your fairy statue! I love how it glows at night. Very pretty. I love the prints too. And thanks for showing us where to get the fairy doors. 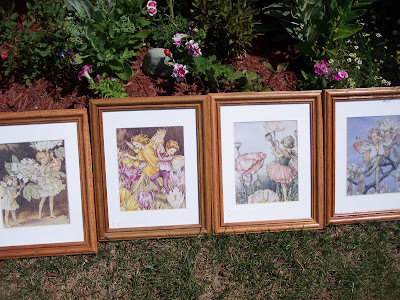 I have been looking for these and this site has great prices! I'm almost 70 years young and love pixies and fairies. Those prints would have come home with me had I seen them. I'm gonna check the dollar stores for some of the stickons. They're adorable. Oh, I love the kissing fairies! Too precious! Your mom sounds fantastic. Must have been so much fun growing up with a mother like her. 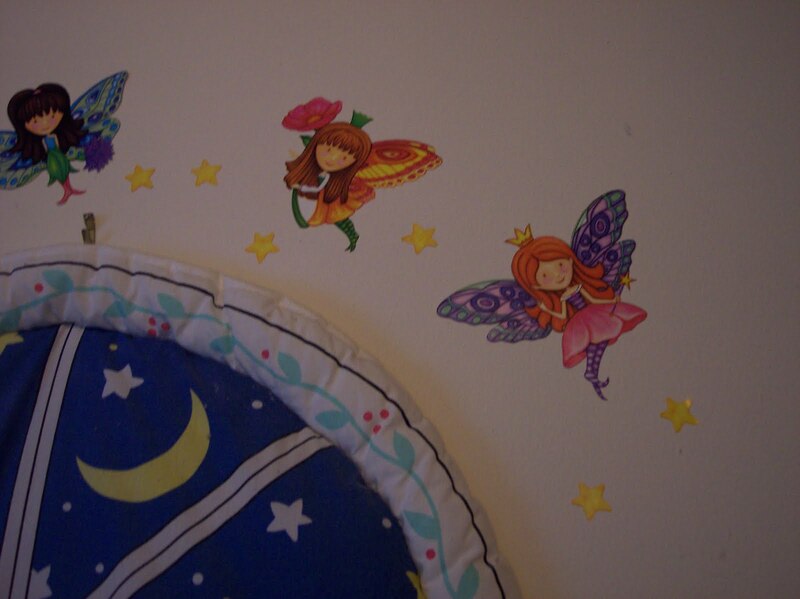 My mom is very creative also and would change my room once a year. I would leave for my New England vacation never knowing what my room would look like when I arrived back home but I loved it every time. Yay...magical! I love those prints..i have the flower afiry book it is a fave too..gorgeous post..lovet the statue too..lovely!! I d´ont like faries and pixies because I d´ont believe this. But I love dreams.